However, one special fossil stands unique and is one of the rarest of fossils — a nearly complete skeleton of a hatchling bird. 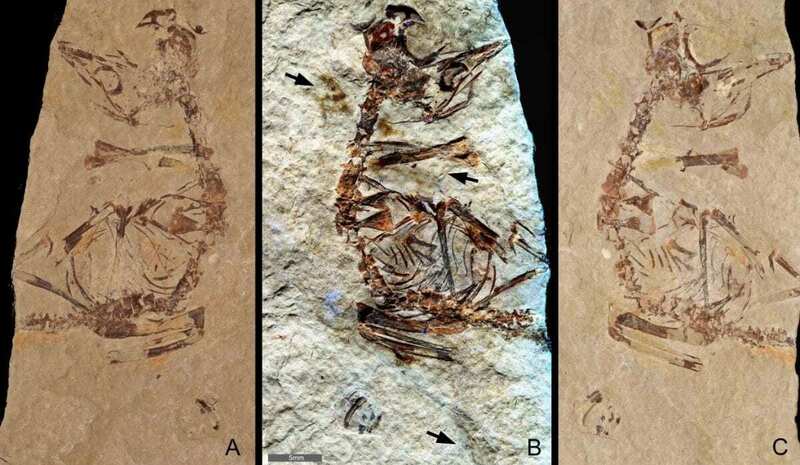 Using their own laser imaging technology, Dr Michael Pittman from the Department of Earth Sciences at The University of Hong Kong and Thomas G Kaye from the Foundation for Scientific Advancement in the USA determined the lifestyle of this ~3cm long hatchling bird by revealing the previously unknown feathering preserved in the fossil specimen (Fig. 2).